In honor of the mass market paperback release of The Devil’s Triangle and the highly anticipated release of Enigma, Gallery and Pocket Books would like to giveaway an amazing Brit in the FBI prize pack! 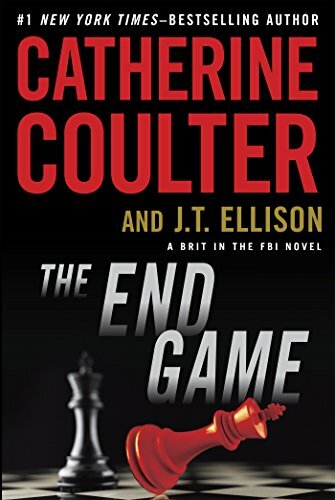 Signed copies of The Devil’s Triangle, The End Game, The Lost Key, and The Final Cut by Catherine Coulter and J.T. Ellison. PLUS a spy gear set. PLUS a passport and travel organizer. Admit it, don’t you think you’d make a great spy? Enter here for a chance to win! Sweepstakes ends 8/28. 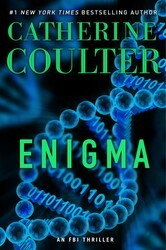 From New York Times bestselling authors Catherine Coulter and J.T. Ellison comes the highly anticipated thriller in their Brit in the FBI series, featuring special agents Nicholas Drummond and Michaela Caine in their new roles as heads of the Covert Eyes team—but will their first case be their last when the Fox, the enigmatic and dangerous thief, reappears? FBI agent Nicholas Drummond and his partner, Mike Caine, are deep into an investigation of COE -- Celebrants of the Earth -- a violent group known for widespread bombings of power grids and oil refineries across the country. Book 1 in the series! Scotland Yard’s new chief inspector Nicholas Drummond is on the first flight to New York when he learns his colleague, Elaine York, the “minder” of the Crown Jewels for the “Jewel of the Lion” exhibit at the Metropolitan Museum of Art, was found murdered. Then the centerpiece of the exhibit, the infamous Koh-i-Noor Diamond, is stolen from the Queen Mother’s crown. Drummond, American-born but raised in the UK, is a dark, dangerous, fast-rising star in the Yard who never backs down. And this case is no exception. When Agent Dillon Savich saves Kara Moody from a seemingly crazy man, he doesn’t realize he will soon be facing a scientist who wants to live forever and is using “John Doe” to help him. But when the scientist, Lister Maddox, loses him, he ups the stakes and targets another to take his experiments to the next level. It’s a race against time literally as Savich and Sherlock rush to stop him and save both present and future victims of his experiments. In the meantime, Cam Wittier and Jack Cabot must track a violent criminal through the Daniel Boone National Forest. When he escapes..
I’m not yet familiar with this author, but I do like spy novels, so I would be absolutely delighted to be the winner in this sweep and have the opportunity to read Catherine Coulter’s work.